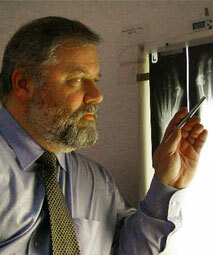 Mr David R Cozens is a Consultant Podiatric Surgeon. He also specialises in biomechanics and musculoskeletal medicine (MSK) with over 30 years’ experience in sports medicine and paediatric / developmental biomechanics, offering non-surgical alternatives (Diagnostics, Mobilisation & Manipulation, Injection therapy, Orthoses) for the correction to foot pain and pathology. Mr Cozens regularly operates with other consultant colleagues to maintain the broadest and most up-to date scope of practice. Mr Cozens since 1999 is a BUPA Consultant Partner and a ‘Preferred Provider’ by most of the medical insurers. Mr Cozens trained at the London Foot Hospital and qualified with a distinction in surgery. He gained Surgical Fellowship of the Podiatry association (FPodA) and is a Fellow of The College of Podiatric Surgery, The Society of Chiropodists and Podiatrists (FCPodS). He is an active regular presenter of the Spire ‘Lunch and Learn’ CPD programme for GPs and regularly lectures to multidiscipline medical professional groups on the treatment of foot pain. Mr Cozens is a Clinical advisor and regular presenter in the Foothealth UK Educational Programme with Mr Kieran Carew. Apart from presenting on radio 4 his largest audience to date was ‘The Biomechanical Management of Chronic Foot Pathology’ as part of the annual Primary Care event at the NEC, Birmingham. Mr Cozens’s research interests also include the clinical biomechanics and the surgical correction of adult acquired flat foot deformity and hypermobility disorders. His other areas of special interest are in the treatment of chronic heel pain and the surgical correction of forefoot deformities.